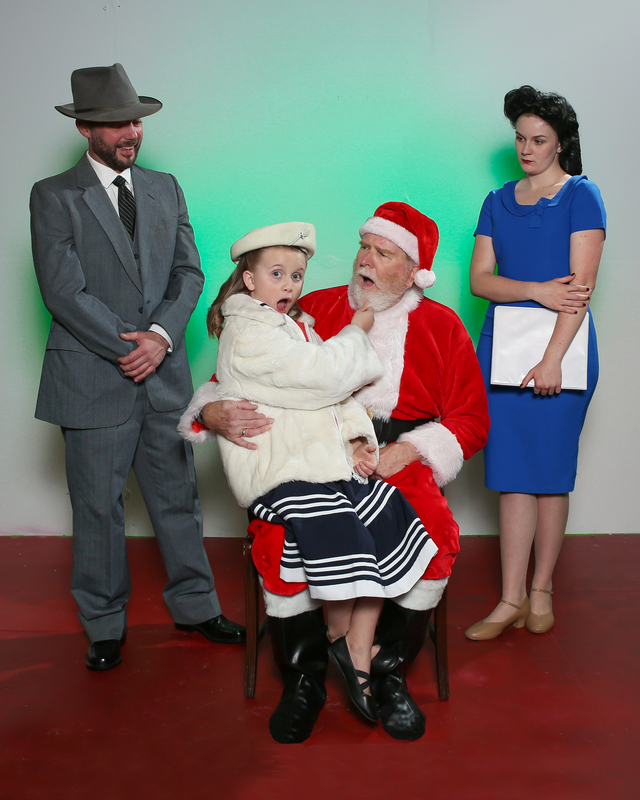 The Branson Regional Arts Council presents, Miracle on 34th Street, a beloved Christmas play for the entire family! Performances are December 14-16 at the Historic Owen Theatre in downtown Branson. Tickets may be purchased at the door, however, as seating is limited, advance reserved tickets are recommended and available at BransonArts.org/tix. Adult (18+) tickets are $14.95 and Youth (4-17) are $9.95. A small ticketing service fee applies to each order. Miracle on 34th Street, the play, is based on the perennial Christmas classic film by the same name. The story takes place between Thanksgiving Day and Christmas Day in New York City, and focuses on the impact of a department store Santa Claus who claims to be the real Santa. When Kris Kringle, a nice, old man from a retirement home gets a job working as a Christmas Santa at Macy’s, his honest and generous spirit unleashes waves of good will throughout New York City and a hint of magic in the heart of a very practical little girl. Seen as deluded and dangerous by Macy’s vocational counselor, Kris ends up in a court competency hearing where his freedom and the joys of childhood fantasy are threatened. Especially at stake is one little girl’s belief in Santa. 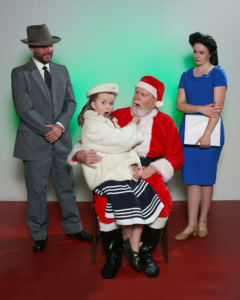 The BRAC Community Theatre stage production stars Laurie Payne and Payton Youngblood, alternating in the role of young Susan Walker, with Lloyd Alexander-Holt portraying the role of Kris Kringle. Other featured cast members include: Kemp Horn (Lobby Santa/Drunken Santa), Brenna Bergeron (Doris Walker), Josh Silvy (Fred Gayley), Sean Neil Myers (Judge Harper), Kay Marchand (Dr. Pierce), Mindy Law (Shelly Shellhammer), Jeremy James (Albert Sawyer), Dylan Pratt (Finley), Ryann Burton (Ms. Mara), Josslynn Silvy (Janet Mara), Jim Barber (Mr. Macy), Greg Slavik (Mr. Bloomingdale), Carter Hendrickson (Al), Cameron Morrison (Lou), Dakota Cooner (Mr. Duncan), Alex Harris (Halloran), Jeanie Hall (Bag Lady), Cassandra Greenemeyer (Sharon), Audrey Echols (Sharon’s Parent / Pedestrian / Others), Xander Greenemeyer (Johnny), Kylee Moody (Johnny’s Parent / Pedestrian / Others), Sylvie Barbour (Dutch Girl), Rebecca White (Rich Lady / Foster Mother / Others), Ben Stevens (Reporter / Mail Room), Sophie Douglas (Head Elf), Cassandra Carter (Teenager / Elf), Clara Dean (Elf), and Moritz Mund (Reporter / Bud / Pedestrian / Other). The production team includes: Kimberly Hale & Lisa Murphy (Producers), Lloyd Alexander-Holt (Director / Audio Technician), Karie Kykeman (Assistant Producer), Pamela Meadows (Lighting Design Technician), Jack Vandewark (Stage Manager), Jacob Deeter (Spotlight), Melissa Rivera (Casting Coordinator), Jordan Alexander-Holt (Costumes & Wardrobe), Jacob Estes (Scenic Design), Larry Waggoner (Muralist), Michael Groff & Arthur Hale (Set Construction), Jim Barber (Marketing Director), Noah Beyer (Videographer), and Marshall Meadows (Photographer). All ticket proceeds from this production benefit the Branson Regional Arts Council, a 501 (c)(3) non-profit organization.